Ahh, Valentine’s Day and the prom. Two special days fraught with social landmines and the pressure to have a great time surpassed only by New Year’s Eve. 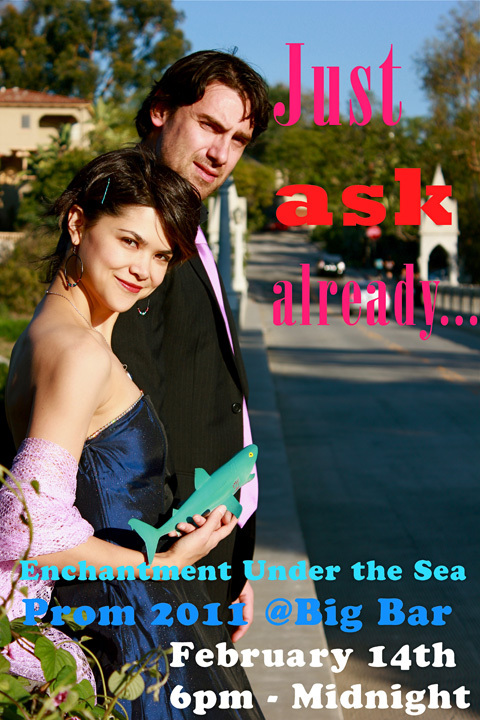 Big Bar is bringing Valentine’s Day and the prom together again for the first time at Enchantment Under the Sea, taking place on Monday, February 14th. Whether you show up stag, bring a second date, or come with your long-time sweetheart, Big Bar’s mash-up of love, lust and booze is sure to be a memorable evening for everyone. Bar Manager Juan Sevilla says he’s “never seen a staff more excited about Valentine’s Day,” and it’s easy to see why. 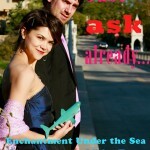 Enchantment Under the Sea will feature open area prom-themed spaces, dance floor, Punch Lounge (there’s a “high probability” the punch will be spiked) and of course Big Bar’s specialty cocktails and love potions, featuring Landy Cognac, Luksusowa Vodka, and Moonshine Clear Corn Whiskey. A photographer will be there from 7pm to 11pm to capture those awkward prom moments, with photos available for free download post-prom. You can submit your name for the chance to be named the Prom King and Queen, or King and King, or Queen and Queen! To enter, simply tell Big Bar why you should be crowned. You can enter via an e-mail to bigbarprom@alcovecafe.com, and/or “like” the Big Bar Facebook page and leave a comment. You can also turn in your submissions in person at Big Bar. Speaking of which, if you see a lovely young lady in a prom dress walking around the patio on the weekend, that would be Alcove’s very own Lilan, the girl in the above photo. Hard to believe, but as this post goes live Lilan still doesn’t have a date to the prom, and she’s getting a little worried. Here’s my suggestion: stop by Big Bar, turn in your entry, and ask Lilan to the prom. You could even tell her you’re her density destiny.